The Central County Fire Department currently sponsors a Firefighter Intern and Firefighter Volunteer program. These programs are designed to give individuals interested in a career as a Firefighter, a realistic look at the Fire Service and the different opportunities it provides. Central County Fire Department is proud to have 21 of our members participating in FEMA’s Urban Search & Rescue program with Task Force 3. USAR TF3 is based in Menlo Park, California. The Central County Fire Department is dedicated to enhancing the quality of life of the citizens and visitors in our communities by protecting their lives, property and the environment. We accomplish our mission through emergency mitigation, fire prevention, community outreach and public education. 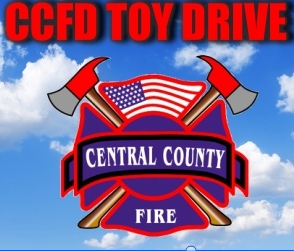 Welcome to CCFD's website! I am proud to serve as Fire Chief for the communities of Burlingame, Hillsborough, and Millbrae and lead the men and women of Central County Fire Department (CCFD). We provide the highest quality of service to our communities. Central County Fire Department offers adult and child CPR Training to prepare a wide variety of people. You will learn CPR in a safe, timely and effective manner to aid an adult, child or infant. You will also be trained on using an AED. Click below for a calendar of upcoming CPR Training dates.